Summertime and the living is easy…or mostly easy. It can definitely get easier with a white dress. White is fresh, breezy, clean and so easy to style. White dresses for women are not only meant to be worn for wedding. A white dress can be a great companion at the beach, picnic at a park, casual shopping with your girls, or your perfect formal outfit. White dresses for women are as necessary as ice cream for breakfast. We picked our favorite white dresses inspirations from the bloggers, so get inspired. Create an effortless look with a white dress and slip-on sandals. This is one of the most popular white dresses style so far. It's super easy and casual. It goes great with oversized sunglasses and a tiny shoulder bag. Off shoulder trend is everywhere this season, starting with shirts, crop tops, and, of course, dresses. 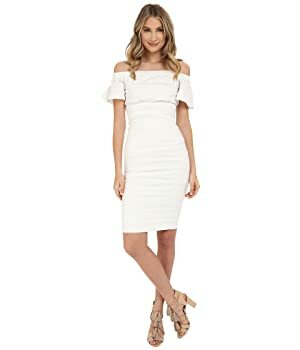 A white off shoulder dress with strap sandals – two top trends together. It's never been that easy to look so trendy. A slip dress is another big trend in fashion at the moment. Try a white slip dress with lace and style it with chunky boots to get a cutting edge look. Stay romantic at the beach this summer. Choose a long white dress for long walks at the beach. 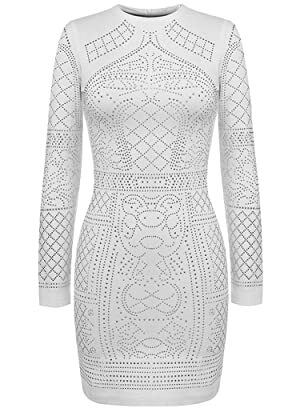 If you're looking for something more urban and cutting edge, try white dresses with cut out parts. Show your shoulders or chest. Style them with silver sports shoes and tiny bag or simple strap sandals. Fashion looks to architecture more and more to get inspiration. There's so much geometry in clothes and it is definitely a good thing that brings more attitude to clothes. 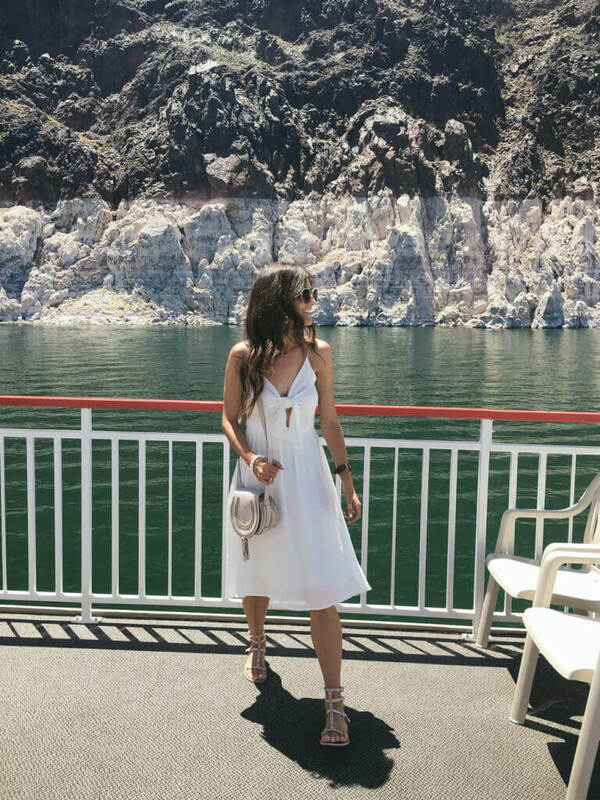 Try a straight cut mini white dress for your summer city adventures. Style it with a bold color pair of sunglasses and heels. I absolutely love white oversized shirt. It gives a woman a little bit of masculinity with a great portion of sexiness. 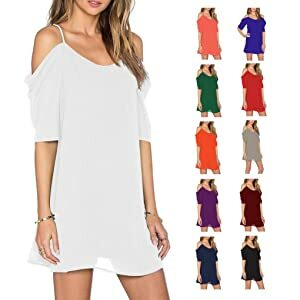 Look absolutely stunning wearing the perfect white shirt dress with striking heels and mirror sunglasses, or style it down with a great pair of Adidas sneakers. Summer is all about good vibes, music and festivals. Let your hair down and dive into boho fashion. A short white dress with flare sleeves looks super boho chic with a fringe backpack and strap sandals. This is the ultimate summer festival look. 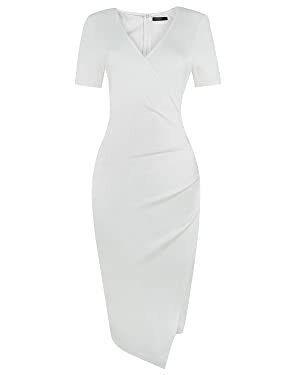 Now you can see why we are in love with white dresses for women. Here you will find our best recommendations to get the looks above. Happy hunting!